There is nothing we admire more than a woman who walks her talk and lives her truth. 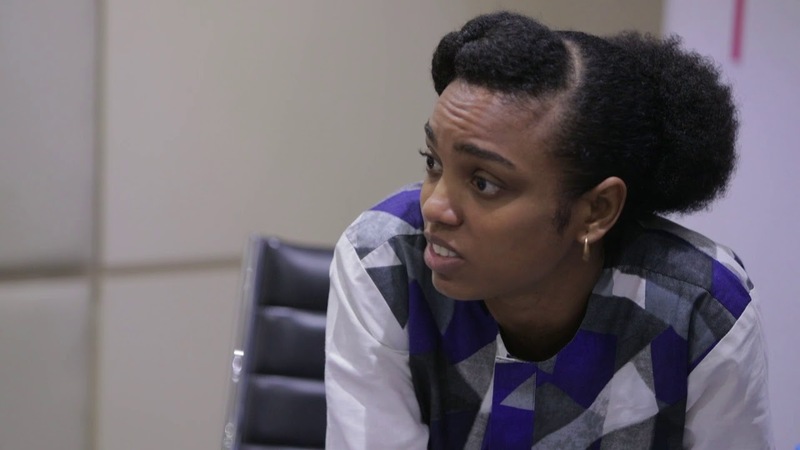 Adaora regularly shares her thoughts via her social media accounts inspiring, motivating and educating her followers. We have ardently followed Adaora for while and each time her post comes up, we take the time to digest what she says because her captions are usually loaded with so much wisdom. Here are five captions selected from so many, for your consumption. You don’t need to know where it’s going when you start. Please, Just Start. Whenever I start giving myself excuses to do Anything. I have a pretty ridiculous but effective method of engagement that works for me. *insert drum roll here*. I LAUNCH IT PUBLICLY! I cannot count the number of times I have put out something to my public network, when I have no clue how it’s all going to happen! While most people would suggest not announcing your idea/project until you’ve confirmed it’s going to happen, I announce it and then make it happen. The pressure of knowing that people are anticipating/waiting for me to do something, is encouraging, and so, I just go with the flow and START. It’s crazy, I know. But it’s worth it, trust me – TRY IT. Don’t try it if youre not ready for the Side Eye that will come with not getting it done o! Because you must absolutely be ready for the consequence of not getting it done. However, in the case that you fail….its alright to #PlotAndScheme again. Lol. Afterall, everyone is doing it. One day your Plotting and Scheming must come to life. Ni Oruko Jesu Christi *Snaps Finger again*. Afterall, #TheyDontKnowWhatsComing. The moral of my story is…You don’t need to know where it’s going when you start. Please, Just Start. 2. Take the vision from strategy to execution. Along my life’s journey, I have found that one of my biggest strengths is EXECUTION. I get things done. After all the ideas, and visioning, I’m the person that says, “These are the next steps”. It’s usually the part that most people get stuck at. The many times frustrating part of being an Executor is that the Ideas person thinks they are the most valuable. They usually think, Ah! I have the Idea and so I should sit on the bigger side of the table. Nah, Bruv….Your Idea has been sitting in the cooler doing nothing. True Collaboration comes from Respecting each persons Value. Collaboration is an important characteristic of growth in all sectors and industries. The best products and projects happen when motivated people with a collective vision come together to share ideas, information, and action. When groups of people come together with shared dreams, and visions, it’s important that there’s someone in the group who is ready to take the vision from strategy to execution. The dream is usually the easiest sell. The struggle is “Who’s going to execute?”. 3. The Future Is Her, The Time Is Now. This Future… We think about it, We talk about it, We dream about it. Some of us have even spent our future money in our heads. We describe the future as though it is a distant subject, somewhere far ahead of us. I’ve come to realize every millisecond that I spend talking to you, inches me into my future. This future that 5 years ago when we sat in an interview and were asked where we see ourselves 5 years from now, we painted this picture of several accomplished goals. 5 years later, THIS is our future. If you understand that all these moments right now, make up your future, then you’ll understand the importance of making sure that you don’t leave yourself behind. Too many people are busy trying to be someone that they’re not, and calling it “Evolution”. Many people are pursuing missions that arent meant for them. If you lose yourself on this journey, then you have automatically failed your mission. An important part of your mission requires that you nurture your spirit, you edify and feed your soul, as you make progress in life. You know that Mickey mouse T shirt in your closet that you don’t want to wear because you are now #BossChic, Wear It. That hair, those locs you want to keep but are afraid that people won’t take you seriously, Keep it. Winning isn’t just about accomplishing goals, it is primarily about staying true to yourself while accomplishing these goals. That, Is very important. So, as much as The Future Is Her, The Time Is Now. 4. Start, then focus on sustenance. Our generation is seeing more creativity harnessed as the Internet has provided opportunities to find inspiration, test our creativity and share our creativity to our social communities. Everytime I see someone post a brilliant idea, thought, or work that they’ve done, I’m sure there are a few people in their circle that go, “WOW, I didn’t know this person could do that.” I see people Improving. I see people getting inspired and starting things. I see people collaborating on some amazing projects and ideas. But you know what I don’t see often ? I don’t see many people SUSTAINING these ideas and projects. All the speakers, quotes, and posts are telling people to Start. They aren’t talking about Sustenance. They aren’t telling you that starting is the easiest part. That starting is simply the first sketch you put out, the first product you sell, the first event you host. Or that when you start that unique idea, 50 people will start at the same time with you. Or that you’ll have times where client work is flowing non stop, and times when it seems like all your clients are on strike. Or that you shouldn’t only ask mentors, and your network to help you Start. You should ask them to help you with advice on how to SUSTAIN. Or you shouldn’t ask your pastor only to pray for you to start…But to pray for SUSTENANCE. Foundations are super important – You need to put in solid effort to lay the right foundation. The building part is tough too. But the real deal is Maintenance. Many people focus on putting the building up so fast, Buying the BMW quickly, but hardly any effort on sustenance. In 2018, I want you to pray for Sustenance, and then I want you to make a deliberate effort not just to start something new, but to focus on Sustaining what you have planted. 5. Follow your Heart, your Heart will lead you far. When God has a Covenant with you, your family, your business. He will do Anything to protect it. God looked for you, you didn’t look for God. When God finds you, you become His property. He chooses to use you anyhow He wants. You must be flexible in His Hands. If God has found you, you must guide it Jealously. The Devil will say “Why Him! Why Her!”. But God has gone ahead. You are a Miracle in His hands. You are a wonder in His hands. You are a Sign. People will say, “God, you made a mistake. You shouldn’t have chosen this person.” But when God makes a choice, no one can change it. Listen …. There is a difference between a man who finds God, and a man that God Finds. He doesn’t care what the world has said about you – He chose you. He wants to use your life to show that He is Omniscient, Omnipresent, and Omnipotent. When God finds you, He equips you to handle everything that comes your way. Your battles will make you strong. Because there’s a land that you’re going to, and when you settle on that land, you will not be moved by anything. You are like Mount Zion – waves, thunder, lightning, wars will not move you. Follow your Heart, your Heart will lead you far.